Since the early days, plotter- or hand-cut masking stencils have been indispensable tools in classic screen printing. Even today, a red light block-out layer represents an alternative to film for certain techniques (e.g., in textile printing). 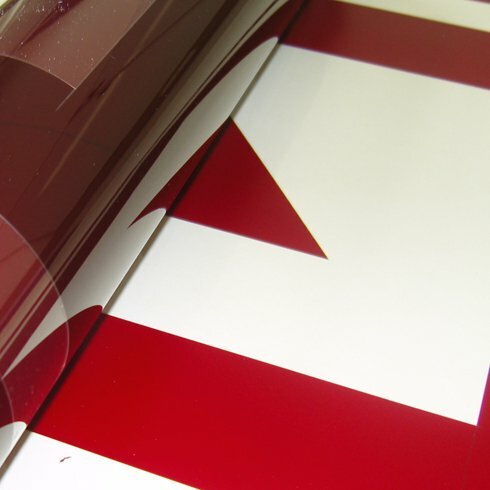 The major features of REGUmask ® masking film include perfect exposure cover, precise cutting edges and simple trimming. For efficient masking and extracting, masking of negatives, masking stencils for retouching and to make daylight films and plates. True-to-size crystal-clear polyester substrate including a wafer-thin tear-proof cutting layer, ruby red (63).